The Innovation Index analyses the innovation impact of a given trend or technology. 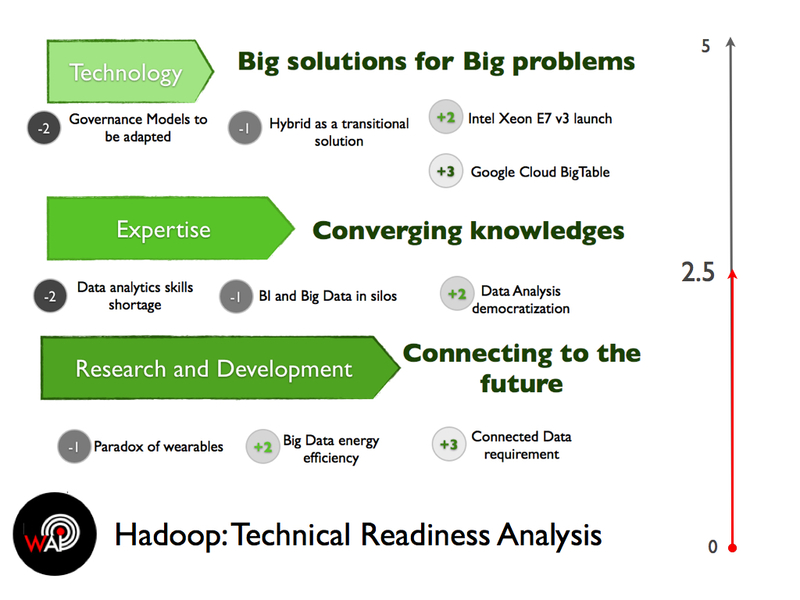 Infrastructure and support is the last article of a series of three-dimensional analyses to provide a final Innovation Index for Hadoop as a supporting technology to Big Data. 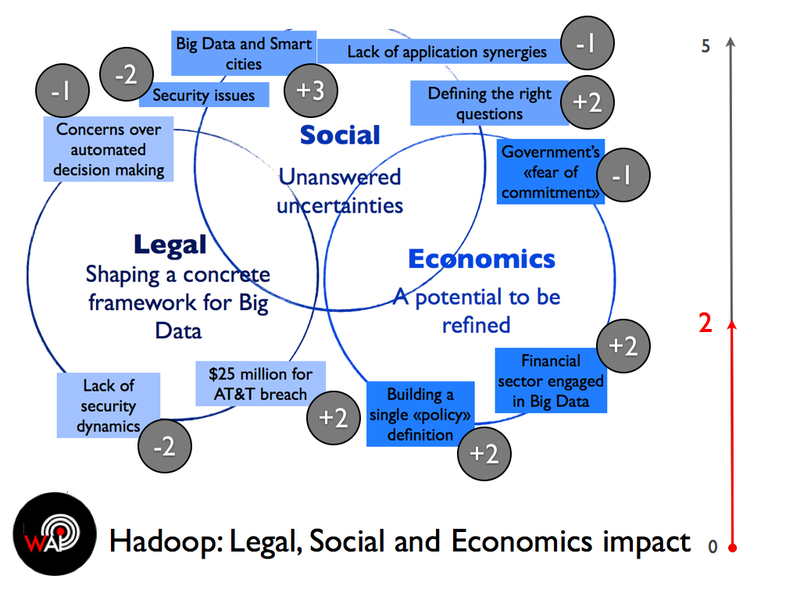 Two other articles estimate the market attractiveness and business model maturity of Hadoop. The infrastructure and support part reviews trends for technical readiness to market, structural readiness to market, together with their wider legal, social and economics impact. WAI Comment: Analysts seem to agree on the requirements of Big Data and therefore hadoop based solutions needed, as much as they agree on the potential market opportunities and threats. They question the ability of organizations to support the roll-out of such solutions given the lack of specialized resources able to build Hadoop based solutions and the difficulty they have to adapt to new governance models. 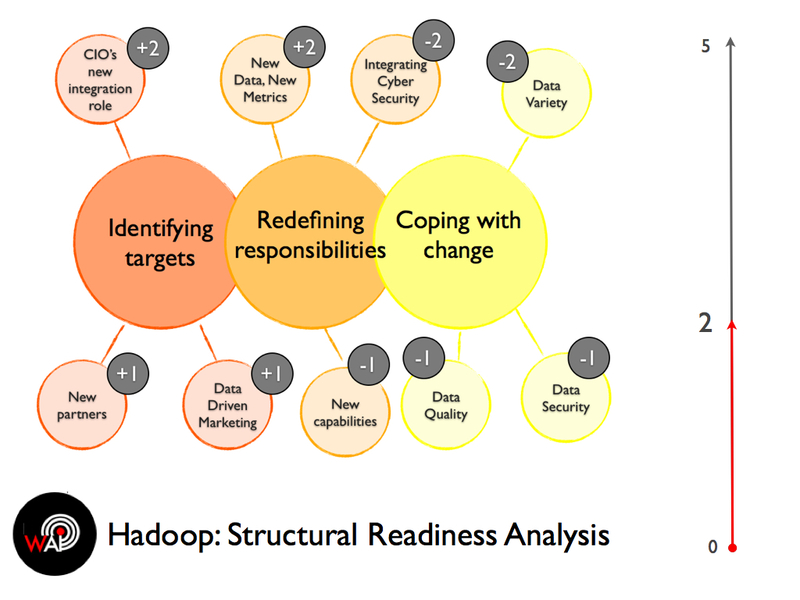 Overall, the initial technical readiness to market for Hadoop reaches an average 2.5 out of 5. 8. Refining data as a must have for data analytics and business decision quality. WAI Comment: The radical changes implied by Big Data and Hadoop to enterprises are such that a complete unlearning and relearning process needs to take place throughout organisations. On the governance side, companies need to redefine their visions and objectives. On the management side, they need to open the strategic thinking models. On the operational side, they need to apply change in the midst of an immature market structure and business models. The level of challenge brings the intermediate grade to 2 out of 5. WAI Comment: External players supporting Big Data and Hadoop markets are taking a stance on opportunities. Although still under definition for the greatest part, the legal framework is starting to take action and protect end-users. Analysts ring alarms against the lack of clarity and common definitions of Big Data consequences (whether positive or negative). 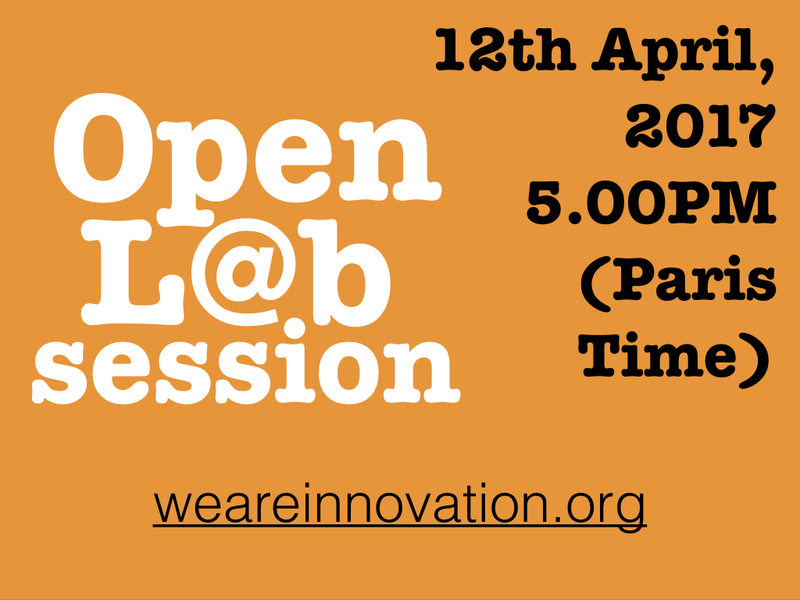 Finally, innovation specialists highlight the application potential that lays beyond the many doubts we will surely find innovative answers to. Still, the overall Infrastructure and Support impact for Hadoop hits a final grade of 2 out of 5.